Conference delegates have full voting and speaking rights. If you hear the Chair say the above phrase, it means they are acknowledging you and you’ve got the right to respond. Head to the stage and speak nice and clearly into the mic. If you find yourself speaking publicly during Conference, you’ll be asked to state your name and your “constituent member”. This phrase just means the student union you are representing. It’s a jam-packed agenda so it’s important that timings are kept under control. When you step up to the stage to speak, you’ll be timed by DPC (see number 5). They will let you know that your time is running out by saying “Time delegate time”. Democratic Procedures Committee (DPC) are volunteers who oversee the business and smooth running of conference. Their role is defined by the Articles and Rules of NUS. Your friendly Chief Returning Officer (CRO) is Jules ‘the rules’ Mason. The CRO’s role at Conference is to oversee the running of National Conference. Check out his blog about what he loves about National Conference. Your wristband and voting card are “your credentials” – aka your Conference gold! It’s super important to keep these with you for the whole event. As well as voting, you’ll need these if you approach DPC. If you lose these, you must report it immediately to the information point. If you have something to say, fill out a slip and give it to DPC. Conference will be asked if it wishes to hear the statement and when the allotted time comes up, you’ll have 60 seconds (max) to make your statement. This is about challenging the conduct of the debate, not the content. For instance, you could request a revote or to overturn the ruling of the chair. To raise a procedural motion, go to the DPC desk where you’ll fill in a quick form. First time delegates, don’t miss out on your delegate training starting at 10am in the Lomond Auditorium on the first day of conference. OK, so somebody suggests you share a pizza, they want anchovies on it – you hate them, so you suggest you have it without. That’s like parts procedure. A motion gets put forward, you agree with most of it (the pizza) but you don’t like some parts (the anchovies) so you ask for them to be removed. To get the parts of the motion (anchovies) you don’t like removed, you need to inform the DPC in writing, on the exact sections you want removed. If conference votes to remove those parts, the motion will then be voted on, as amended. This means that the person who submitted a motion can nominate someone else to speak on their behalf to propose or summarise (summate) the motion. Simply put: ‘summing up a motion’. It’s the last stage before it goes to a vote with any motion debate. Usually it’s the original individual/s who submitted the motion, but this can be waived. To vote on a motion, you put your voting card in the air, the session Chair (with the DPC) then makes the decision whether a motion falls or passes passed on if the majority of voting cards are in the air. If it isn’t clear to see, it may go to a physical count, and that’s when “lock the doors” comes into play. Anyone in the room needs to stay in the room, so staff on conference floor can manually go around and count votes. For each session (Zone), there’s an allotted amount of time*. If you go over that set time, DPC will say “The guillotine has fallen”. The guillotine can fall even if the motions have not been debated yet. In some cases, motions may not have time to be debated. *No session can be less than 30 minutes (but can be extended). The Annual General Meeting (AGM) is a chance to discuss and debate the rules and revisions that govern National Conference. 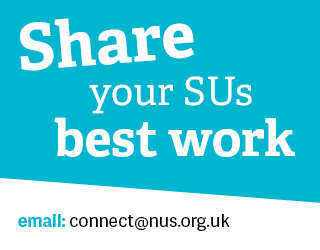 Revisions can be anything to do with finances, changes to Full Time Officers, or changes to the NUS UK constitution.